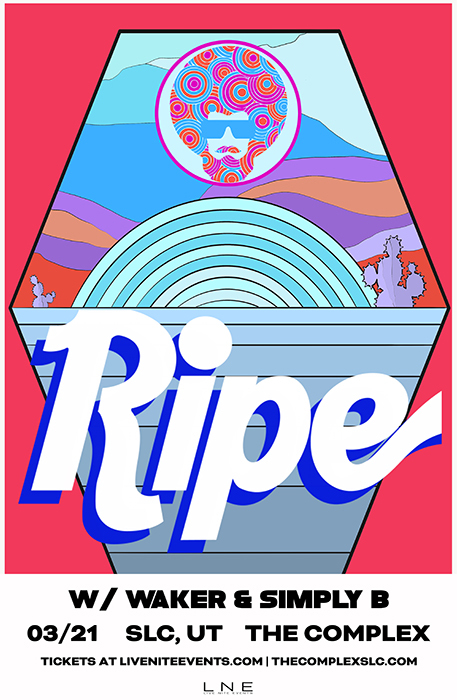 Ripe is seven musical soulmates who refuse to believe in a single definition of dance music. They are an unstoppable groove, an extended moment of ecstatic release, the catalyst for taking “just another night” and elevating it into something else entirely. They are the swagger of funk filtered through a rock anthem, a musical journey that somehow gets as stuck in your head as your favorite pop banger. They are the anchors of a rapidly growing community, a series of new friends becoming good friends becoming part of the extended family as their sound spreads and their world deepens. They are here to look at joy with the same depth as most people look at sadness, to find a happiness that is heavier and more meaningful than simply a distraction from the negative. Born all over, formed in Boston, Ripe is ready to bring the whole world to its feet.